Tired of the hassle of trying to peel fresh fruits and veggies with a knife? 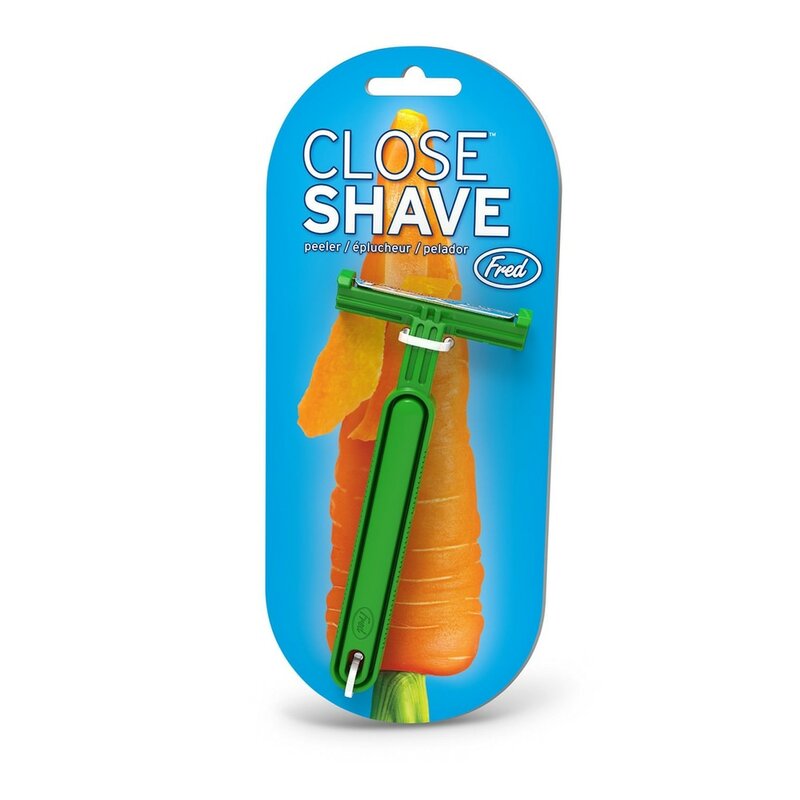 Which is why the Close Shave Veggie Peeler is a terrific gift for the chef, cook, or food lover in your life. Both functional and fun, this “razor-shaped” veggie peeler is perfect for peeling nearly any kind of food! Now you can effortlessly peel carrots, apples, potatoes, or anything your favorite recipe calls for.